The Westwood home at 1610 Comstock Ave., LA CA 90024 lasted 28 days on the market before receiving an accepted offer on 10/15/09. 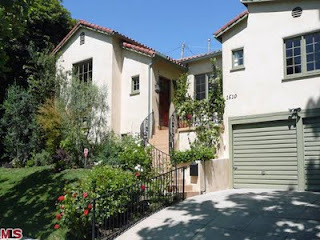 Listed on 9/17/09 for $1,399,000, there wasn't any price changes during the listing period. The home closed on 12/4/09 for $1,300,000. According to the MLS, the home is a 3 bedroom / 1.75 bath, 1,550 sq ft of living space on a 4,762 sq ft lot. This house had been completely remodeled and featured a high end gourmet kitchen.